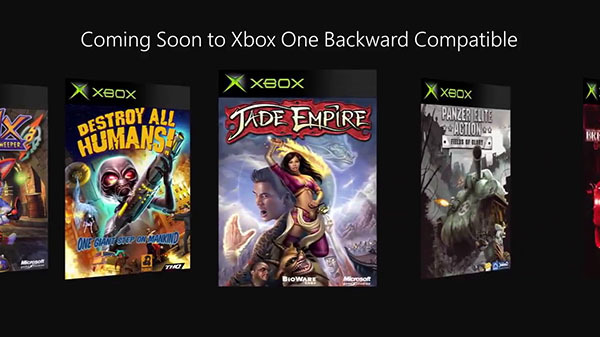 The next original Xbox games that will be added to the list of backward compatible games playable on Xbox One includes Jade Empire, several Star Wars titles, Conker: Live and Reloaded, and more, Microsoft announced. All 19 titles will be playable through the disc you already own, or can be purchased digitally via the Xbox Games Store. Microsoft also announced that Sonic Generations was added to the list of Xbox 360 games playable on Xbox One today, and that the following Xbox 360 games that are already backward compatible will receive Xbox One X Enhanced updates: Darksiders, Gears of War 2, Portal 2, Red Dead Redemption, and Star Wars: The Force Unleashed.